Valentine’s Day is upon us, and, as usual, many of us are frantically looking for a special gift for that special someone. Thanks to modern entrepreneurs, there are a number of fabulous ways to show your love for that person in a romantic, beautiful setting. Here are some suggestions to make this holiday memorable. It seems like most teenagers these days have ridden in a limousine at least once. A “stretch limo” is parked in front of the school building at least once a month, hauling excited 10 year olds to the pizza place in style to celebrate that much-anticipated birthday. By contrast, most adults have NOT ever ridden in a limousine. That’s just unfair! Hire a limo to pick your loved one up at work. Even if you just take the long way home, you can share a glass or two of champagne on the ride. Face it – the words “luxury” and “camping” don’t really go together. Unless you are familiar with glamping. Glamour camping is an incredible way to get away from the hustle and bustle of city life without giving up comfort. A luxury tent rental places you right in your favorite camping spot, except you have climate control and catering. You can select different kinds of tents, from Bedouin style to a yurt. Imaging taking your sweetheart to your favorite nature site, topping the rise, and seeing a fabulous tent awaiting your arrival – complete with a butler! 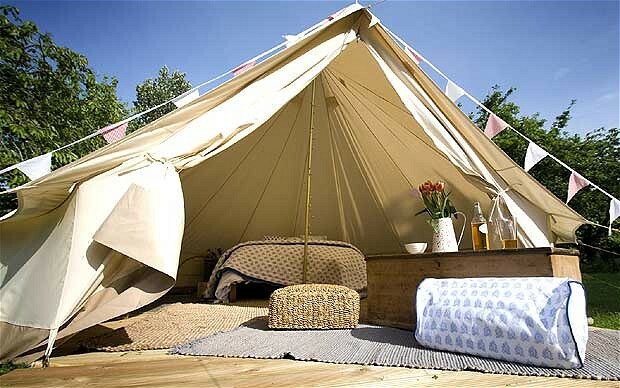 The tents have floors and luxurious carpeting, bath facilities, and regular sized beds. They even have electricity, although wi-fi may be subject to location. You can request catered meals to suit your dietary needs or taste for special dishes. 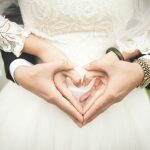 If your idea of romance is to be a part of one of the many festivals in the UK, you can actually be on the grounds, rather than on the outskirts. Basically, the service you are receiving is the luxury camping. Take your luxury hotel room with you, and have a great Valentine’s day. Share a spa day with your loved one. This can be simply a couple’s massage, or you can spend the entire day getting facials, steam room treatments, and massages. There are many places that provide this type of service, and you can find a wide variety of amenities provided. If your sweetie is in constant motion and seems to always be distracted, arrange for a float session. This is actually based on a sensory deprivation technique, but in limited sessions, it can be very relaxing. You put on your swimsuit and float in a “pod”. Filled with water dense with Epsom salts, the pod is dark, body temperature, and quiet. You wear earplugs to keep the water out of your ears, and float in the warm darkness for 30 minutes or so. The effect is rejuvenating. Whether you enjoy glamping or some other luxury on Valentine’s Day, just be aware that there are many businesses dedicated to original experiences. ← Drying Your Clothes, Outdoors Or Indoors?